Coz Nel Gomez is awesome in his role, you sure know him from TV. Now he strarts a solo singer career and I’m sure Camp Rock helps him a lot coz he really gets to showcase his dancing, acting and singing. Coz Repertory Philippines is the longest English running company in the Philippines (45 years old) and this is their 413th production. They and PETA started long time ago. 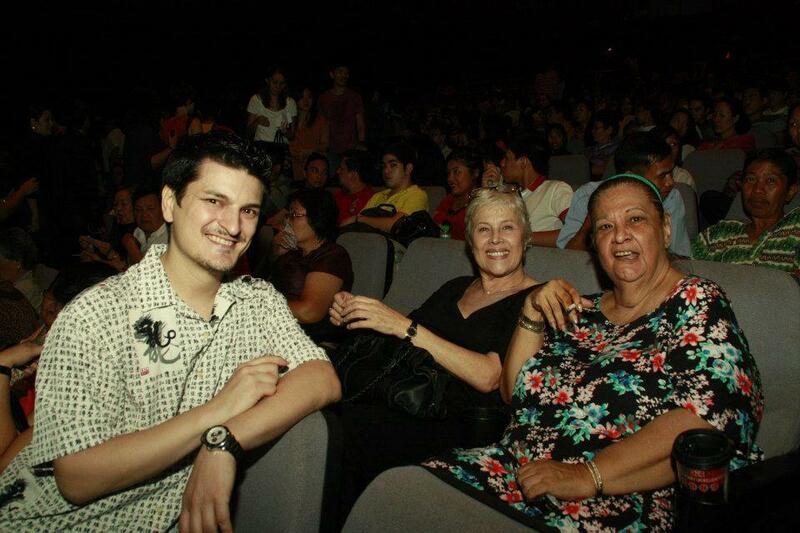 Coz Ms. Baby Barredo, the founder of Rep and theater legend, gave pointers personally several times to the performers. Coz it’s directed by Audie Gemora, director of High School musical, so if you love that one, you’ll love this one. Coz you can see live cute Markki Stroem. Actor also in Slumber Party the movie we both open Nov 29. Coz the cast is full of energy and first time super happy performers. I’m glad I made a good job announcing the auditions so lots of youngsters came. Coz the costumes are by Raven Ong and he’s always a sure bet. Check the costumes in Wizard of OZ, amazing. We met doing Peter Pan the musical in Meralco theater, he totally nailed it there as well. Coz it’s a cute story about romance and following your passion. I always enjoy films and plays of people who work hard and succeed. Coz there’s a cool dance challenge offered by Justin Valiente to Nel Gomez. Coz Morissette, the female lead is so pretty aside from singing great, nice belting. And acts in a very believable way. Coz you will laugh a lot with the acting of Jeff Flores. Never met him, and I really look forward to watching him again or working with him in the future. Coz it’s full of pretty people. Did I say with A LOT OF ENERGY? Like Justine Peña. 😀 personal crush. Another important discovery as an actress for me is Kiara Dario. She’s only 14 years old and OMG, there is an actress there. Super talented. Lets all follow her career from now on. Don’t wanna leave out good performers and friends coz there are so many so I won’t detail anymore. Good job!